Minnesota saw big increases in the amount of ethanol fuel blends used in 2018. We know this because the Minnesota Department of Commerce surveys fuel stations and fleet users monthly and the newly released numbers for 2018 show great growth. Along with a 20% growth in the number of fuel stations offering an 88 octane gasoline, Minnesota drivers really made the switch. In total, retailers reported selling 59.4 million gallons of a 15% ethanol blend (E15), available for use in vehicles 2001 and newer. This compares to 19 million gallons sold in 2017, for a growth of more than 300%. Clearly drivers like the option of this higher octane, lower priced gasoline. Flex fuel vehicle drivers also chose E85 more. Based on gas taxes collected by the Minnesota Department of Revenue, retailers sold nearly 16.5 million gallons of E85 last year, which is nearly 2 million gallons more than the year before. 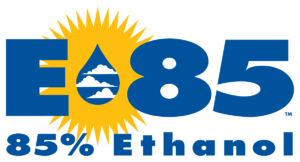 It is also available in more places, with 40 new retail locations for E85 opening in 2018. And it is not just in Minnesota either. There has been a growth in E85 sales nationwide as well. More stations are selling E85 and both new and existing stations are averaging higher E85 sales each month. If you haven’t tried the fuel blend that works best for your vehicle, don’t wait any longer. You can find your nearest station on our main page.